Brown vertical-fine-rib-grain cloth. Blind stamping on front and back. Blind and gold stamping on spine. vol. 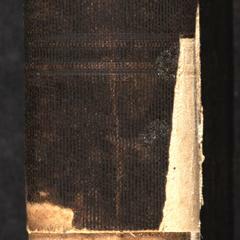 1 of 2 vols. From the 2d London ed. Book topic: United States--Description and travel.